Snapchat, a multimedia messaging app, is helping Indian voters gear up for the upcoming elections. New Delhi: With election day fast approaching, multimedia messaging app Snapchat is going all out with encouraging people to vote. In a bid to guide users to resources provided by the Election Commission of India, the app started their colourful way to jazz up the process of voting. 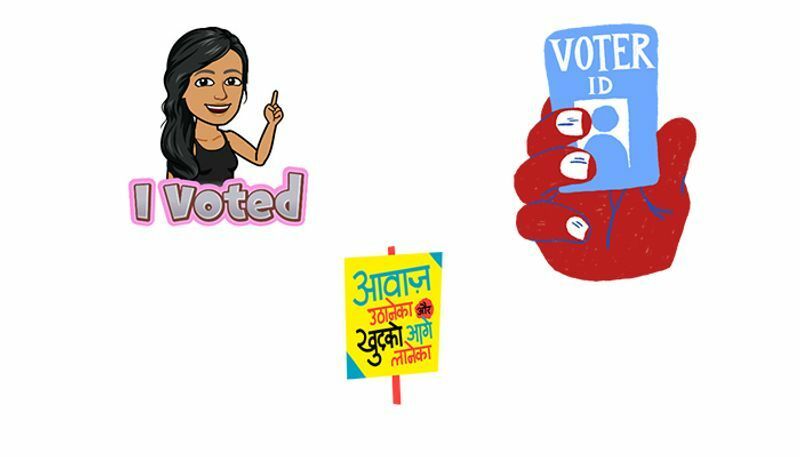 Starting from March 28, Indian Snapchatters received a Snap from Team Snapchat and had access to filters reminding them to check their online voter roll ahead of the deadline. On April 10, a Team Snapchat snap will also be sent to remind people to look up when their constituency is voting, and Snapchat will also send a Snap in each individual state that includes a link to polling location information hosted on the Electoral Commission of India’s portal. Best known for dividing the world over the dog Snapchat filter, the app has also designed a range of creative tools including filters, stickers, Bitmoji, lenses, and Snap Map integrations, especially for the election. Snapchatters can use can also use lenses and filters to express themselves on issues around the elections and share them with friends. Snap Map will offer a new way for its Indian community to check their online voter roll, look up when their State Constituency is voting and encourage them to cast their vote with a ready link to the polling location. In addition, some of Snap's content partners – The Wire, HuffPost India and Brut India – will go live with Curated Stories, Publisher Stories and Shows, providing compelling election coverage and analysis, as well as capturing on-ground voter sentiment across the country.